Medicinal Mushroom Complex Powder - 8 Mushrooms In 1 Serving! 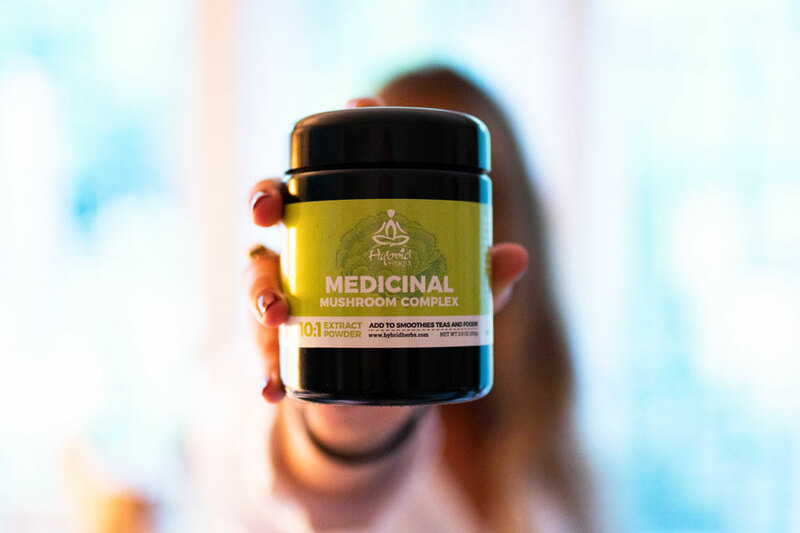 Our medicinal mushroom complex features a potent mix of the most-loved rockstars from the fungi kingdom, all packed into a beautiful, organic and eco-friendly Miron glass container. From cordyceps to chaga, no less than eight medicinal mushroom powders are included in the blend, so you can reap the benefits of a range of mushrooms in each and every serving. What is in the Medicinal Mushroom Complex? This mighty mushroom blend is an ideal choice if you want to test out the benefits of medicinal mushrooms without having to purchase lots of individual packs. Each mushroom brings it's own benefits to the blend, so if you prefer to sample each one separately we also offer individual packs of each of the medicinal mushrooms. What is Violet Miron Glass? Our mushroom complex will arrive in organic violet Miron glass, which is one of the most protective containers available. The use of violet glass dates back to Ancient Egypt when it was used to store precious healing products and natural essences. The special glass provides optimal protection from UV light, which in turn increases the shelf-life and maintains the potency and bioenergy of the mushroom blend. Not only will the glass look beautiful in your kitchen cupboard but it is also eco-friendly as it can be reused or recycled. We recommend storing your medicinal mushroom complex powder in a cool, dry place such as a pantry. How Do I Use the Mushroom Complex? Traditionally, the use of mushrooms required hours of painstaking preparation in order to transform them into digestible and palatable products. We like to make your life a little easier, so we’ve carefully prepared the mushrooms into a concentrated powder that is ready to be used. Simply add half to one teaspoon of the powder to hot water, juices, or smoothies. The mushroom complex blends particularly well with fresh almond milk, or you can also sprinkle over food for an added nutritional boost. If you're wondering what it tastes like, it's actually a very earth and mild flavor - which makes it suitable for use in a range of both sweet and savoury drinks and dishes. As for the best mushroom dose, we recommend starting with a smaller amount of around 1/2 a teaspoon and then working your way up to a full teaspoon dose in each serving. Many people like to take the mushroom complex first thing in the morning (sometimes as a coffee replacement), although it can be enjoyed throughout the day. A great way to get started with our medicinal mushroom complex powder, is to simply create a nourishing tonic tea. This recipe is full of goodness, and can be made in just a couple of minutes. Boil the kettle and fill up your mug with warm (but not boiling) water. 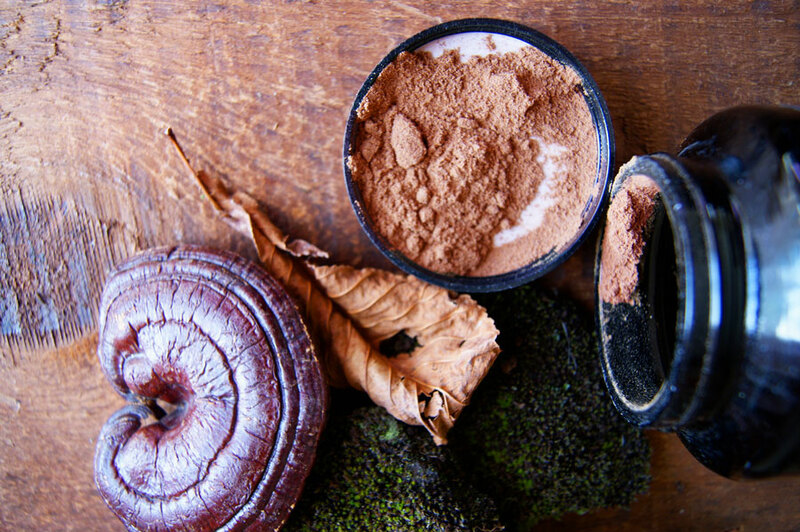 Stir in your dose of medicinal mushroom complex powder, and then add the plant-based cream, a dash of cinnamon, a pinch of salt, and the dates. Transfer the tonic to your blender and then whizz until smooth. Pour into your favourite mug and sip slowly. You can also refrigerate the mushroom tonic or add in some ice cubes in to make a refreshing iced mushroom latte. I love this product. Personally, I use it every day. Professionally - as a health coach and at an herbal cafe in NYC - I share it with clients, and include it in a drink on the menu, called Everyday Endurance. I appreciate that it's concentrated, and a blend of no less than *eight functional mushrooms, which is not easy to find. I like being able to use a small amount, and the flavor+color is wonderful. Because it tastes like mushrooms (go figure) I often recommend people mix it into savory recipes like soups or salad dressings, if they're not the smoothie/latte type, or looking for something else. Wonderful company, and great customer service too. I am a fan and appreciate HybridHerbs' support of my plant-based wellness work! I started taking this to help me give up coffee and in the process it helped the pain I had in my back from inflammation. It's been 6 months now and my back pain is down to almost nothing! This complex Mushroom mix has Lion's Mane, Reishi, Cordyceps among others. You will feel like Superwoman or super man when you take it in the morning after breakfast. I wanted to write a review to you to say thank you because for the last 2 years I've had a coffee addiction after I went on holiday with a friend who is a huge coffee drinker. I was given a pot of Moonrise Mushroom by my girlfriend to try as an alternative and I felt so much better. More alert and I didn't get that slump that I get with coffee. I also found that coffee made me smell! So as a nice addition, I smell better and I'm also feeling great and have more energy. I love how it tastes and I sometimes add some raw honey if I want it sweeter. Many thanks for such a brilliant product!